Time to get serious. I’ve got a limited window of opportunity to get a good jump on this year. To get in good practices and habits. To reach for yet a higher level of effort and results. To bring about a perspective and spirit to the work yet to be generated. And I’m excited about it. You might ask why I’ so excited about being so restricted with movement and access to the normal travel options. In other words its even difficult to move from the home at the moment. It’s because I have that special commodity of time on my side for a change of pace. 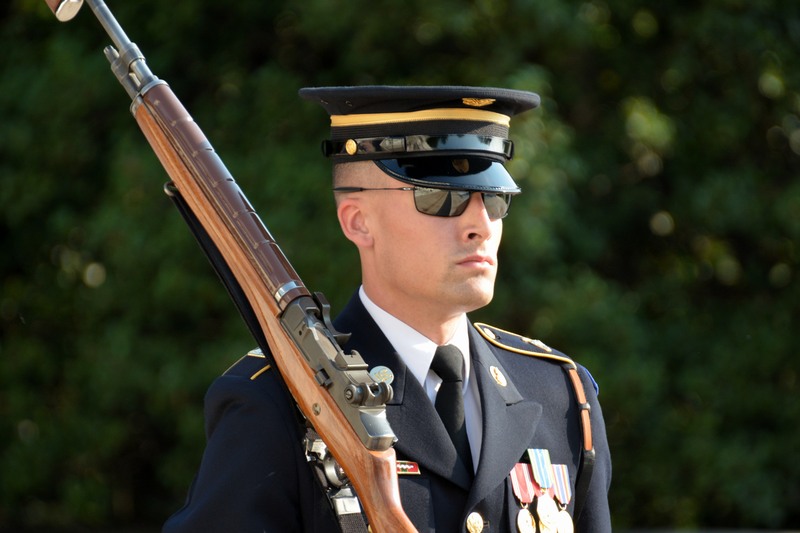 One of the “Old Guard” at the Tomb of the Unknown Soldier. So it’s that focus and determination you might see in a Military Guard. That gaze of opportunity and commitment meet and move forward. It’s mine. Woke feeling a bit rough today. A number of activities are still difficult. There is still pain and discomfort. Can’t get a shirt on without help. But things are getting better. Today my children came to check on me. What a wonderful feeling of support I get from all of them. The real test starts Monday when my better half returns to work. So off to a good nights sleep to start the week right. In the home studio and at the keyboard.